Today I will profile Knowledge is Power Program (KIPP) schools on The Teat. The Teat is an ongoing series on Cloaking Inequity (the protuberance through which milk is drawn from an udder or breast) that seeks to trace financial support which various entities receive that are involved in current educational policy debates. serve to hide the cow. Cloaking Inequity exists because of KIPP. (For the full thread on KIPP go here) They released a response to a research study that focused on African American enrollment and leavers that was so erroneous that I had to respond publicly— CI was born. Vasquez Heilig makes the inaccurate claim that KIPP receives $3,361 more in total revenue than the Houston Independent School District, and incorrectly infers that KIPP Houston spends more per pupil than the district. In reality, KIPP Houston, like all public charter schools in Texas, receive less per pupil funding than district schools and no public revenue for facilities. Excluding private funds raised to cover facilities costs, KIPP Houston spends less per student per year than HISD. The Teat will examine today where KIPP gets all that extra money. Thanks to Sylvia from Austin who pulled the KIPP development data from the Foundation Center in New York and forwarded it. In sum, across the nation, since 2003, KIPP has received $308,999,543 from foundations, corporations and individuals. You can see the national spreadsheet here. 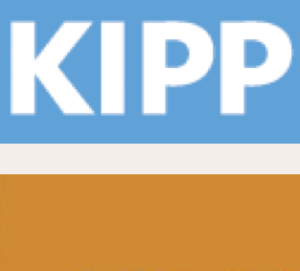 KIPP in Texas has acquired about 25% of those monies— $75,981,765 from foundations, corporations and individuals. You can see the Texas spreadsheet here. I don’t know Mike Feinberg personally. However, in the forums in which I have observed him, I find him to be eloquent and dedicated to children. I believe KIPP campuses have some redeeming qualities, I especially respect their focus on a college readiness (KIPP Houston came in 5th in the state for college readiness amongst Latina/o majority schools in my analysis— Note only 8 of 64 were charters). However, as the attrition numbers for African Americans reported in our KIPP study in the Berkeley Review of Education showed (which may explain their lofty college readiness numbers), and their less than forthright responses to our article and others where KIPP posits incorrect claims about revenue, KIPP just needs to be a little more honest about their operation. You go on to talk about their private donations, but these were “excluded” in KIPP’s comparison to public schools. This means that they may not actually be arguing against your data, but against your comparison (what you choose to count) with public schools. Are public schools’ bond monies incorporated into their per-pupil spending count? Since that money must be spent on capital projects that ultimately serve students, this would be fair. Either way, it does not invalidate your analysis on how the sources of private contributions may influence the philosophy of education. However, do you think KIPP and other public charters would prefer to fire their development staff and be given facilities funding at parity with public schools? Would that solve the “conflict of philosophical interest” problem? Furthermore, if you believe they should not be given funding parity for facilities, do they deserve some credit for raising money beyond what the public offers? By comparison, a public school could hire a director of development and raise money directly through grants and private donations — what stops them? Are there public schools that follow this model? Also, does your criticism of private sources of funding (the proverbial “teat”) extend to public schools that raise money from Coca-Cola in exchange for placing obesity- and diabetes- causing drinks (and snacks from snack vendors) in schools?